Spike Lee’s signature shoe is set to make noise in the sneaker market once again with the release of a new colorway of the kick. 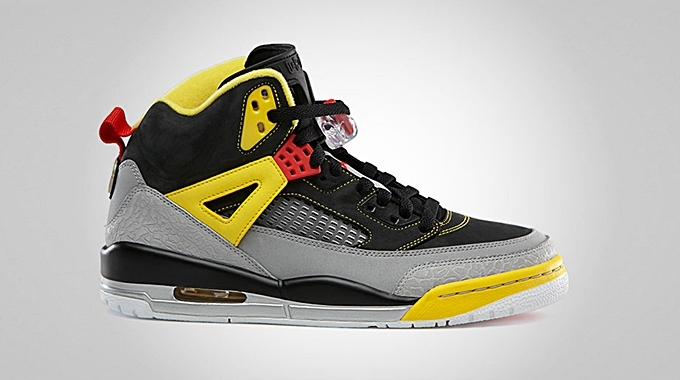 Jordan Brand released this familiar colorful edition of the Jordan Spiz’ike. Officially listed as the Black/Challenge Red-Metallic Silver-Tour Yellow colorway of the kick, this edition of the Spiz’ike is now popularly known as the 3M edition of the kick mainly because of the reflective 3M touches on the upper part of the kick. This kick will surely get a lot of attention so make sure to check it out as soon as possible!